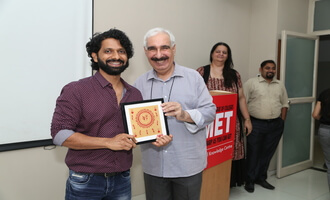 Producer, Director, Actor & Editor Ashmith Kunder recently visited MET Institute of Mass Media to engage PG students for a candid interaction. He shared insights on the projects handled by him. The students were enlightened with how a combination of multiple role perspectives actually decides the success of a story.